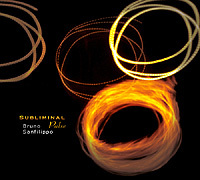 Argentine synthesist Bruno Sanfilippo has released a significant number of CDs, both as a solo artist and in collaboration. Subliminal Pulse (67'40") may well possibly be his finest. 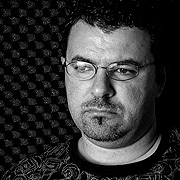 In creating nine unique and distinctive synthetic compositions, Sanfilippo has realized an album that attracts and calms the mind of the listener - as he embraces the ethereal side of his creativity. His music has been made in a kind of modern simplicity. At its most basic, this work is merely form, theme and variation taking place over time. But what this artist does with these core elements is quite engaging. Reverberant piano trips across an ever opening synth pad while resonant tones whisper gently above delicate nature sounds. Other parts of this disc are not so sleepy. In one place heavenly voices and ceremonial drum augment the purring and murmuring electronic emanations. Then, on another track, a squawking modulation makes way for ethnic percussion runs and breathing strings. With so many interesting sounds and timbres unfolding at such a contemplative pace, the listening experience is a pleasant one - revealing much about the composer. Subliminal Pulse is not at all about the strive toward virtuosity. It is an exploration of the inner self. For Sanfilippo music seems a tool used to interpret what is inside him.